Standing at my counter the other night, I had the urge to bake something sweet, with no added oils, of course – and I wanted it to be ready fast. I was leaning toward my favorite Peanut Butter Thumbprint Cookies, but I was in the mood for something chocolate, too. 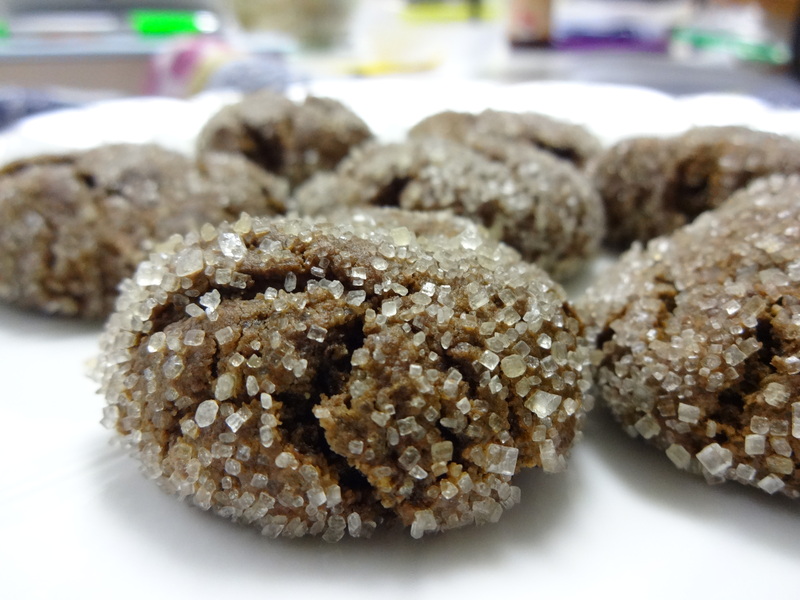 That’s when the idea hit me to add cocoa instead of flour to my standard peanut butter cookie recipe. Oh my goodness – the result was outstanding! So this is my new favorite…light, delicate, scrumptious little bundles of chocolate peanut butter joy. In a large bowl, whisk together cocoa, baking soda, and 1/4 cup sucanat. In a medium bowl, mix together the peanut butter, applesauce, brown sugar, vanilla, and salt, if using. Add the wet ingredients into the dry ingredients, and combine well. Mix in the chocolate chips, if using. Form 1-inch balls of cookie dough, and roll one at a time in the extra 2 tablespoons of sugar, coating evenly. Place cookie balls on parchment-covered baking sheet, 2 inches apart. Bake for 8 to 12 minutes, or until almost firm to the touch. Remove from oven and place pan on cooling rack.